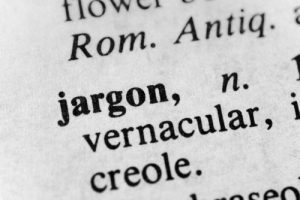 The worlds of business and finance are full of jargon. If you don’t have a business degree or many years of experience, you may be confused or intimidated by some of the terminology. This is especially true when it comes to areas, such as factoring and business financing. Often, you’ll see terminology with slight variations and you may wonder if two terms are referring to the same thing or if there are differences. Trade Finance – This is a broad term that refers to any type of financing for commercial transactions. Factoring – This is the practice of a business selling its invoices or accounts receivable to another business, called a factor, at a discount. This allows the business to receive immediate cash. Invoice Factoring – This is the most common type of factoring that is commonly discussed today and refers to the type of arrangement mentioned above. Discount Factoring – Another term that is often used interchangeably with factoring and invoice factoring, but most often outside the United States. The factoring company “discounts” the face value of the invoice and retains the discount as its fee. Accounts Receivable Financing – This is an umbrella term that includes factoring and accounts receivable lending. Whereas factoring is an outright purchase of receivables, accounts receivable lending involves a loan secured by receivables as collateral. Working Capital Financing – Any type of financing that is used to provide ongoing working capital for a business. Inventory Financing – A loan or line of credit made to a business so that it can buy essential products or inventory for eventual sale. Revolving Line of Credit – A specific amount of credit that is available on demand to a borrower. Once the loan is repaid, the business can borrow again. The terms may change over time, but the basic arrangement remains steady. Asset-Based Lending – Any type of business loan that’s secured by assets or collateral. Assets include inventory, accounts receivable or anything of value that the business owns. Purchase Order Financing – Also called purchase order funding. This practice is usually confined to businesses that sell products rather than provide services. It allows such businesses to obtain financing for purchase orders that they couldn’t otherwise fund. It can be confusing to understand finance jargon because many of these terms are quite similar. Furthermore, you’ll find that different financial institutions may use them in slightly different ways. It’s always important to make sure you understand the specific terms of any arrangements that you enter into. Invoice factoring can be a beneficial practice to help businesses improve their cash flow. Riviera Finance is one of the most trusted companies in this field, with experience in business financing since 1969. If you think that your business might benefit from factoring, visit the Riviera Finance website or call for a quote at 800-872-7484.